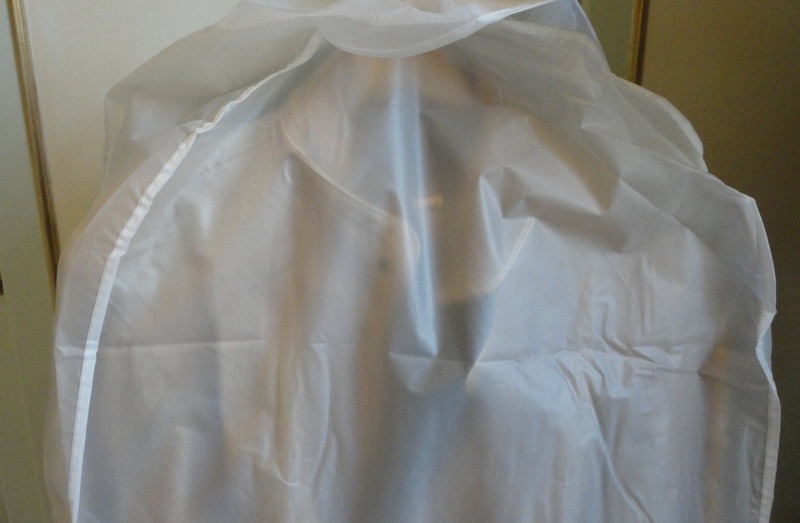 Two large garment bags sold together, which can protect a fair amount of clothes, mainly from dust but also from curious paws, in our case, as our cats always make a beeline for any open door. I put three very bulky leather jackets inside the first one and did not even use half the available space. The inner width is about 28 cm and, depending on the clothes thickness, I can easily fit a dozen or more hangers in there. The length is also good for most overcoats and dresses (except for maxis). 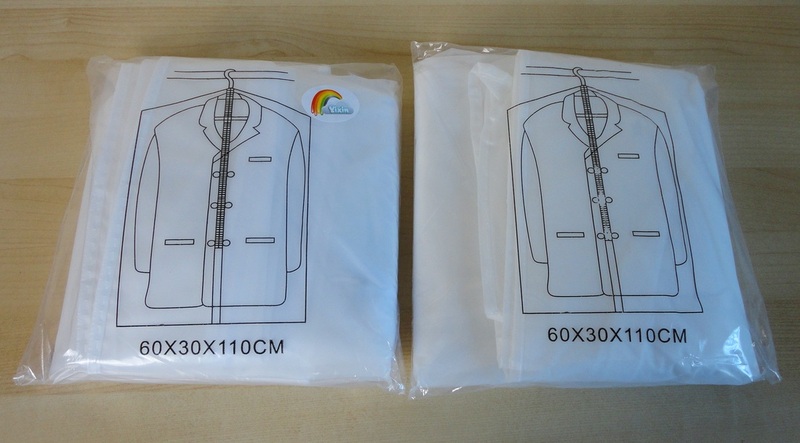 I have used fabric and plastic garment bags for years but these seem to me to be particularly well-designed for multiple items. I also love the fact that the bags completely enclose the contents, as they have an integral bottom panel, so if a belt drops down, it still remains protected. There are ties and Velcro closures under the top crosspiece, which can be utilized in various ways. The best is what they show in the photos. 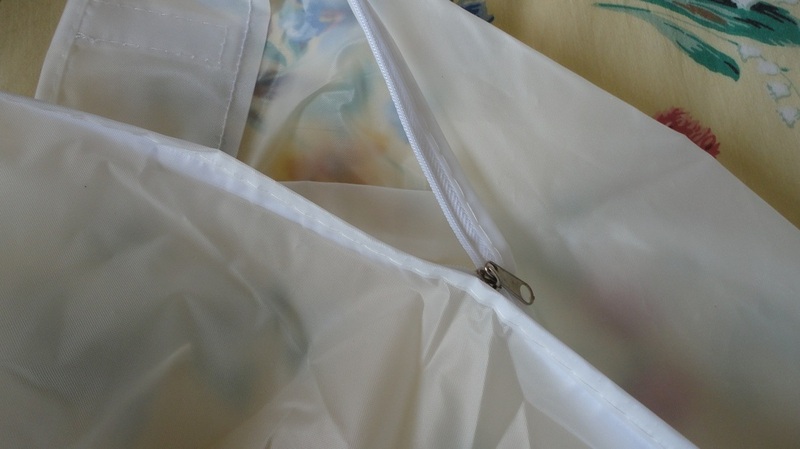 The ties secure the bag to the rod, you then place the hangers inside, close up the zip and lay the top piece over the rod, attaching it to the bag with the Velcro strips. 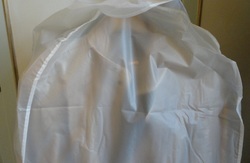 That effectively stops dust from entering the bag from any openings around the neck of the hangers. I found that little extra protection very useful because I use an open hanging rod to hold out-of-season clothes in a storage room. The plastic material is odour-free, nearly see-through and feels reasonably durable. Obviously it's not rip-proof but should withstand normal handling. 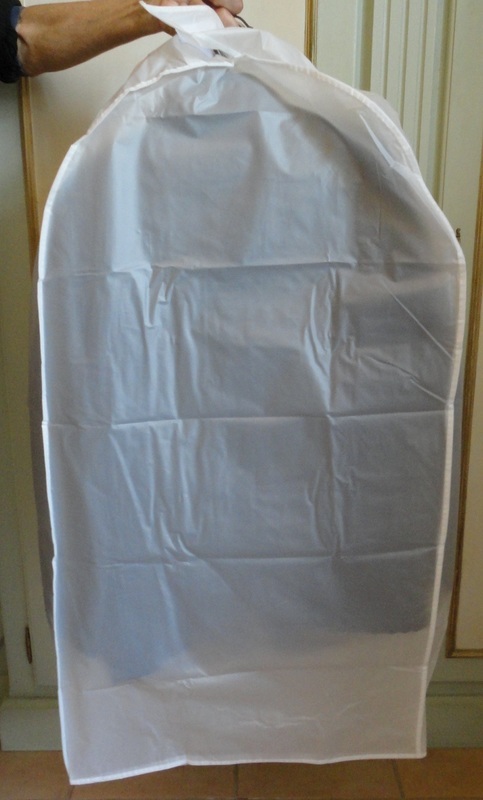 The zips run smoothly and, overall, I am very happy with the functionality and look of these garment bags. 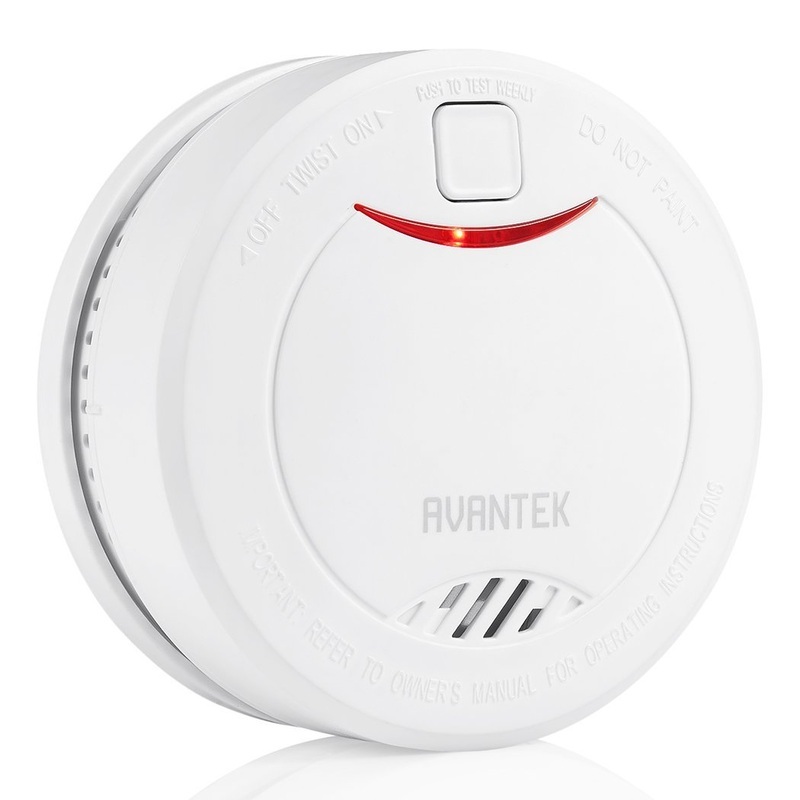 One of our smoke alarms had gone fritzy again, so I was delighted to be offered the opportunity to test and review this new model of Smoke Detector from AVANTEK. It looks smart and capable but the feature I really like is the 10 year life span. Our alarms are mounted on high ceilings and it takes a ladder to reach them to replace batteries, so this very long life is a big plus. The other excellent feature is that it can be silenced by pressing the Test button, in case of accidental deployment, which is also handy as no amount of fanning can reach our alarms. The alarm has a photoelectric sensor, which makes it very sensitive to the slow, smouldering type of fire that is so insidious (like a cigarette stub igniting a sofa); but it will also readily detect a faster, flash-type blaze with active flames. Two good quality screws and wall plugs are provided for mounting, and installation is the same as for similar alarms, i.e. securing the mounting bracket to a ceiling or wall by means of the two screws and attaching the alarm itself to the bracket (the alarm is only operational when it is properly seated in its bracket). Once in place, the red LED light flashes at 53-second intervals, giving a visual confirmation that the alarm is powered and active. Attached to the mounting bracket are two small plastic pins. Inserting one of these into the appropriate side hole prevents tampering or untimely removal of the alarm. The user manual is the most comprehensive and detailed I have ever seen, stressing good placement and safety precautions with clear instructions and illustrations. The main message is to test the alarm every week using the Test button (rather than trying to simulate a fire), and to have an escape plan in place; both sound pieces of advice that cannot be overstated. The one thing I should warn you about is that the siren is VERY LOUD. I wear ear plugs for testing it. However, that is its main job and this alarm does it very well. In summary, a good-looking, very loud smoke alarm featuring good design and some intelligent safety features, and, in every way, far superior to my old one. Absolutely brilliant for glass cleaning, in the house and in the car (with just water, so it's environmentally-friendly and saves money, too). When it was offered to me for testing, I never imagined I would be using it so frequently. This large synthetic chamois towel is now a firm favourite for so many tasks, especially good for wiping down glass doors and tiles after a shower. It's also amazing how much dirt it picks up when used as a duster. 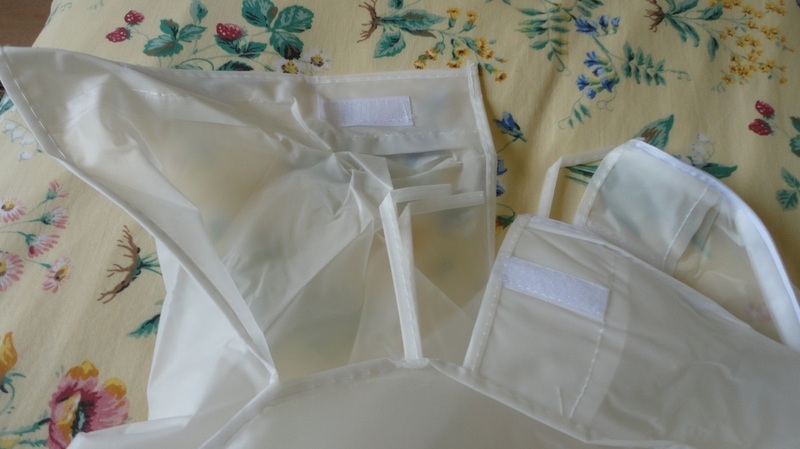 It arrives packaged in a clear plastic holder, which serves as regular storage for the cloth. The instructions suggest to fold the cloth and put it away slightly damp as, otherwise, it will dry as stiff as a board. I verified this by accident, but it was easy enough to restore the original suppleness by dampening the cloth again. This cloth appears very strong and durable. 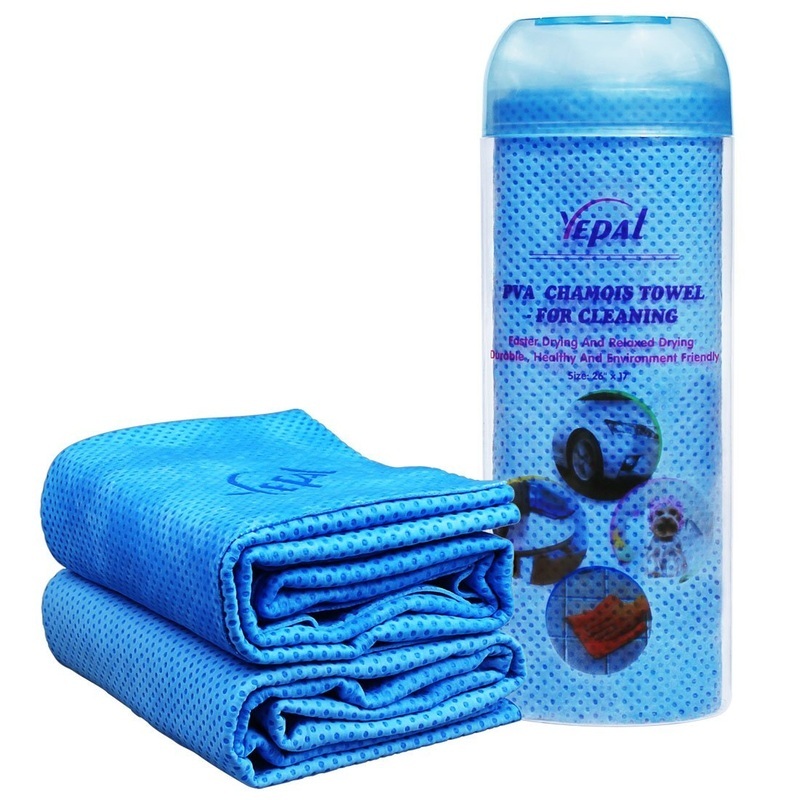 It washes really easily, either by hand or machine, dries quickly and is amazingly absorbent. It resists moulding but, if left unused for long periods, it is recommended to let it dry completely (to the stiff stage). It could be used as a personal towel (especially when travelling) but my cats have claimed it for their own. They often come in damp or wet in the winter (several times a day, I may add) and this is their favourite towel, the one they don't seem to object to, perhaps because it's so light. So this is how I use my two Yepal cloths: one cut into smaller pieces for glass cleaning, shower drying, dusting, etc., and the other in its original state (approximately the size of a tea towel) to dry my cats on rainy days. This brilliant product is designed to protect babies from bumping their heads against the sharp edges of tables and shelves, however, it can be used for much more. When I was offered a sample package, I immediately thought of an ideal application. I have a large shelf, sitting loosely on top of a cabinet, which I use as a crafts / packing / drawing / cutting surface. My cats love to jump on it to see what new and exciting things I have put there and they often push it into the wall. I used the padding to cushion the edges, so that they don't dent the wall when my feline thugs indulge their curiosity. The job took very little time, thanks to the clear instructions and diagrams provided. I stuck the corners on first, then measured and cut four lengths from the roll and attached them by means of the adhesive tape. One trick I picked up: when I ran the double-sided adhesive tape onto the inner surfaces of the first strip, I noticed that it shrunk slightly so that it no longer fit. So I cut another piece exactly the same length, however this time I attached the tape to the shelf and then stuck the padding directly over the edge. In this way, the padding fit the gap exactly as cut. An excellent product, quite neat looking and very easy to clean. My video shows the steps and the final result.